In the north of Zurich, a new innovation park has started to grow. The unique site, aptly named Innovation Park Zurich, will serve as an incubator for the ideas and events of the future. As one witnesses the rapid advances in digitization and automation, the changes in mobility, the various progress in medicine, the demographic evolution, or the emergence of cleantech, these very disruptive forces create new needs, products, markets and industries and drive innovations of all sorts. Innovation Park Zurich will address these needs and act as a bridge between the city’s world-class universities and leading experience-rich corporations. 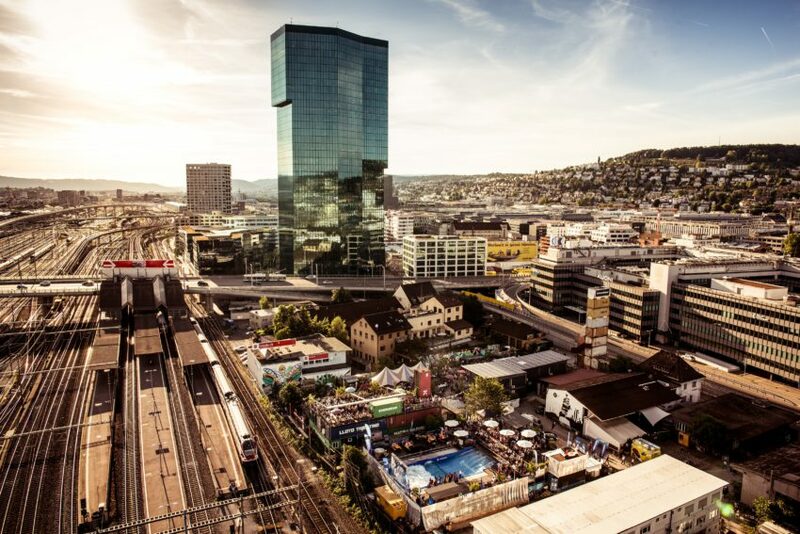 This new platform for research and development in one of the most dynamic cities in Switzerland will help maintain Zurich’s position as a global innovative and economic leader. Working in close proximity to internationally renowned universities (ETH Zurich, University of Zurich), Innovation Park Zurich will be home to highly qualified talents. With value chains already in place in various clusters, it will be provide a business-friendly environment in a region known for its political stability and quality of life. Easily accessible thanks to excellent infrastructure and an international transportation network, it will boast some highly advanced technology and sector clusters, and is set to welcome global corporate leaders. Innovation Park Zurich aims to facilitate the transfer of research into marketable products and services. The park is focused on thematic areas that address current megatrends and that offer substantial potential for development. There are plans to set up a hub for robotics and mobility, a space hub and a block chain hub called ‘Trust Square’. The establishment of a centre for advanced manufacturing technology in the medium term is also being explored. The park will act as a magnet for new research projects and thereby support the local economy, create new jobs and further enhance the already strong appeal of the Zurich region. A pavilion will mark the park’s first tangible presence on the site. It will house an exhibition, meeting rooms and the administrative offices of the Stiftung Innovationspark Zurich. Offices, laboratories and workshops will also be created with open, transparent floor plans and shared testing facilities and meeting points. There are plans to offer additional space in new buildings from approximately 2020 on that will meet the specific needs of the residents.